CENTURY 21 Tri-Cities is a local residential real estate sales organization and broker office serving the Tri-Cities area. The area is primarily comprised of Pasco, Kennewick, Richland, West Richland, West Pasco, Benton City, Finley and Burbank. Greg Senger comes from a long line of builders. He learned all aspects of building from a “hands on” experience on his father’s job sites. In 1986, he started Greg Senger Construction, and for the last two decades he has gone on to build custom homes, home renovations, add-ons, patios and sun decks throughout the Tri-Cities. Residential home builder and remodeler. Complete design/build services. Huge portfolio of plans from which to choose or let us create one for you as part of our services. Vincent Construction is a family owned business specializing in residential and commercial construction since 1976. As a General Contractor we bring custom cabinets and woodwork, hand crafted at our wood shop, to all our projects. Our team strives for high quality and customer satisfaction in all that we do. We compliment our cabinets with all countertop selections from premium laminate, solid surface, quartz and granite. 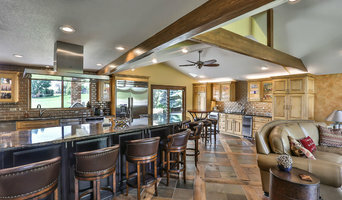 We can help you design-build your dream home or addition/remodel. See us for additions, remodeling, kitchens and baths. Also shops, garages, custom homes and commercial projects. We have done multiple projects for our satisfied customers for over 40 years throughout the Columbia Basin. We want lifelong, satisfied, repeat customers who come back to us again and again. Our goal is to meet or exceed our clients expectations, and provide the highest level of service and satisfaction, through our commitment to quality and excellence. As licensed, insured and bonded general contractors, we pride ourselves on the quality of our projects and our customer service. We are experts in the industry, providing both residential and commercial renovation services. 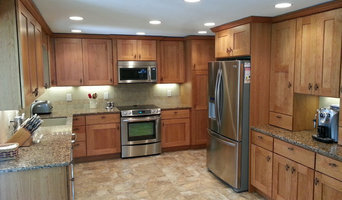 Our specialties in residential remodeling include kitchen and bathroom remodels. Cliff Thorn Construction, LLC, also excels at custom fireplace remodels. We will improve your existing fireplace or design a customized fireplace to enhance your decor. Our team is also equipped at making exterior improvements for your home or office in the Pasco, WA area. We will help you design a new deck, patio, or outdoor kitchen so that you can really enjoy being at home. If you are in need of more space, we will build a new foundation for an addition or a new shop, enabling you to expand the home you already own. AJW Construction LLC is a general contractor, operating in the Columbia Basin, specializing in high end remodeling and additions. Rivard Remodeling is a full service, residential Design/Build remodeling contractor serving the Tri-Cities community since 2005. 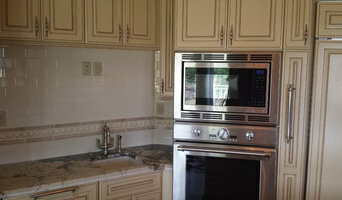 We are a local general contractor specializing in Kitchen and bathroom remodels. We also do home renovations, 203k renovations and additions. General contractor, commercial, residential, remodel or new build we will build your dreams. Veteran owned and operated. Making your house a home again. We are a general contractor serving the eastern part of Washington State, primarily in the Tri Cities area. General, or construction contractors, are often known as project managers. They oversee the entire remodeling or new home construction project and facilitate all day-to-day tasks that move it toward completion. A West Richland general building contractor will work with your architect to review plan as you build a house and ensure everything is in place before work is started as well as arrange for permits and necessary inspections. While good local home improvement contractors in West Richland will have the skills to handle certain tasks onsite, such as carpentry, he or she is also responsible for hiring subcontractors for the majority of jobs, such as electrical work, painting or plumbing. In addition, the general contractor should be on-site regularly to inspect the progress and resolve issues. Here are some related professionals and vendors to complement the work of general contractors: Architects & Building Designers, Interior Designers & Decorators, Landscape Architects & Landscape Designers, Kitchen & Bath Designers, Specialty Contractors. Home remodeling contractors are a must for successful completion of a renovation. Because of this, it's essential that you do your homework before deciding on the right general contractor in West Richland as you remodel or build a house. Inspect bids carefully. Was it ready when the contractor promised it? Was the bid for building a home unusually high or low? Each of these things can be very telling: A late bid may reflect timing standards, and an off-the-mark bid could be code for a pricey premium or a deliberate underbid to score the remodeling job. 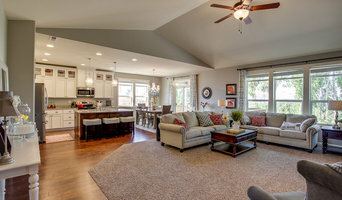 You should call references, carefully read reviews and visit completed projects in West Richland, WA to see if they’re what you expect for your job. Once you do secure your local West Richland contractors, read the contract very carefully to be sure everyone is on the same page. Find a West Richland contractor on Houzz. Narrow your search in the Professionals section of the website to West Richland, WA home contractors. You can also search for photos in West Richland, WA and contact the West Richland general contractor who worked on the project.